Our warehouse is reopening to ship orders Thursday 27th December 2018 right through January ( closed just on 1st January 2019 and 28th January 2019). Speedy Shipping of orders: Beachkit.com.au aims to ship your goods within 1 working day of order and credit card/Pay Pal approval .Please note to qualify for this you must place orders by 8AM AEST (Monday -Friday) Then goods will be shipped that day or next business day( Monday -Friday) . Delivery times can vary depending on where you are located around Australia. We cannot guarantee a delivery time as third party transport companies transport our products. Most importantly you must nominate a delivery address either at work or home whereby someone is available to accept the goods Monday to Friday 9am to 5pm. For some reason you are not available to sign/receive goods then the goods will be left at your door/ or a card will be left for you to contact the freight company for re-delivery or pick up from their depot..
Once goods are shipped we can provide you with a tracking barcode/number which you can track the delivery. These goods are to be shipped to Metropolitian areas of Melbourne, Adelaide , Sydney , and to most areas of Victoria only. Beachkit.com.au has the right to withdraw this offer if you are situated in a part of Australia that is considered remote or it is simply uneconomical to offer this discount to you. 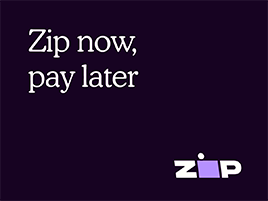 If this is the case we shall contact you and advise the free shipping offer does not apply and you have the right to request a full refund or you will be asked to agree to the freight costs. We promise to ship your order as explained above. However, mistakes in shipping beyond our control may happen In the event of a damaged, delayed or lost shipment we will send out a replacement or issue a full refund immediately. Replacement orders will be shipped using the shipping method selected on the original order. Therefore, we ask that you place your order in plenty of time to accommodate such eventualities. Please be sure to enter a valid email address when ordering. Our shopping cart will email you an order confirmation immediately upon completion of your order. If you do not receive such confirmation please contact us : sales@Beachkit.com.au. Saturday and Sunday are not regular freight companies delivery days and should not be considered as such when calculating time in transit. This applies to holidays as well. Can I use a PO Box for a shipping address? No Please use physical addresses only. We do not sell any customer information under any circumstances. See our privacy statement for details. Beachkit.com.au reserves the right to make a selection on the customer's behalf in order to expedite the shipping process if a particular colour or design of a product has not been included with the customer's order. Products which may be defective as part of the manufacturing process or damaged in shipping will be replaced or refunded at the discretion of Beachkit.com.au. Please advise on delivery ,not down the track when goods have been used- this will void any chance of a refund. 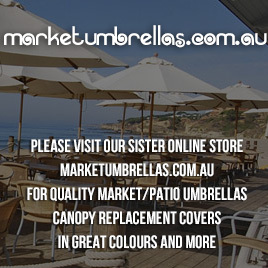 For our premium umbrellas only those ones with a wind vent/auger we offer a 2 year replacement warranty - on manufacturing defaults - receipt of purchase (date purchased online or receipt from retailer) and images of problem must be forwarded to sales@beachkit.com.au - product will be replaced on Beachkit's discretion only on the proviso the damage has not been caused by wind damage or neglect . Our refund policy does not cover products damaged due to neglect, improper usage or application, wind damage or other acts of nature. Please note our beach and shade umbrellas must not be used in the wind range from moderate breezes to hurricane force winds as they could fail- we will not replace umbrellas with wind damage- it is up to the owner/user of the umbrella to take care and not put it up in windy conditions. All of our umbrellas have a sticker on the top pole which reads`` WARNING for safety do not open the umbrella in any windy conditions`` . Our refund policy does not cover products which are special ordered or imprinted on the customer's behalf. Our refund policy only covers products intended for private use and does not cover products intended for commercial, public or rental usages. Beachkit.com.au reserves the right to make a selection on the customer's behalf in order to expedite the shipping process if a particular color or design of a product has not been included with the customer's order. Frieght companies now charges shippers for packages returned as "Refused". Orders returned as "refused" will be credited less the return shipping fees and the aforementioned stocking fee. We shall provide you with a Return Form prior to returning items. No credit will be given without this form included. Returned items may be shipped to: Beachkit Australia: C/- WFDS 47-53 Hallam Valley Road, Dandenong South 3175. Victoria. 3201 Australia.